Imagine having a chance to build your own home – choosing all the floorings, countertops, appliances and wall colors? But before you get to all of those details that will make your home unique, you need to get a construction loan. Financing a new construction home is a little different than getting a mortgage for an existing home, says Mario Galdos, president/senior mortgage loan officer at Directions Equity Home Loan at Triton Group in Schertz and San Antonio, Texas. “Construction loans are pretty straightforward. But homeowners need to prepare themselves for the process,” he says. It’s not like you get the loan, sign the papers and get the keys to move in. “The intention might be that the house will be done in six months. But what if it’s been raining for three weeks? No one has been able to work on your house. Some people have a hard time with these type of delays,” he says. 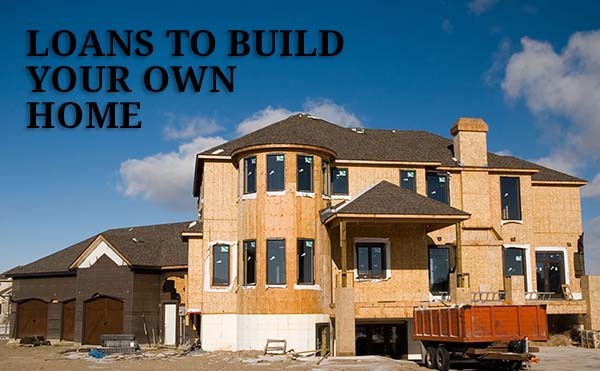 Patience is a big virtue when it comes to getting a construction loan and building your own house. You just have to remember that this is a project, and it’s going to get done when it gets done, Galdos comments. Construction loans haven’t been a big product for many lenders since the market crash. But things are changing. In fact, builder confidence for newly constructed, single-family homes rose five points in June to a level of 59, according to the National Association of Home Builders/Wells Fargo Housing Market Index. A 50 or higher means that more builders rate conditions good rather than poor. The index has been above 50 for the past year, and now sits at the highest level since 2005. “The home construction market has been extremely hot here. Existing home inventory is very low. So, if there isn’t enough supply, you have to build,” he says. There are other areas of the country that are also seeing big jumps in residential home construction. In fact, the Bank of Utah reported a record increase in single home construction loans up by 45 percent in 2013 and another 11 percent in 2014. Many of Galdos’ clients who are borrowing through construction loans are working with builders that build custom homes in the middle-to-high end market. Just remember that construction loans are a specialty lending niche, and not every lender will have them available. But you should shop around and find the best lender for your situation. Two-time closing loan – Most typical construction loans start with an interim loan. These are usually more intended for custom home builders, Galdos says. They don’t usually do interim loans for track builders. The loans are typically set for a 6-12 month period. A third-party, such as a title insurance company or bank, will hold the escrow account that contains the construction money to pay the builder at intervals as the house is completed in stages. At the end of the building process, the borrower will have to be requalified for a new loan and then refinance the interim loan and go through a closing again for a permanent loan. So, it’s important to maintain a good credit standing during the building of your home. Even with one payment missed on the interest-only interim loan or even if you were late to pay one of your credit cards, it could affect you getting that mortgage for your house, Galdos says. One-time closing loan – Basically, borrowers only have to deal with one application, one loan and one closing. Conventional, FHA and VA offer these one-time closing loans. However, if the buyer is only going to put down 3.5 percent with an FHA loan, the builder is left on the hook for anything that goes above 80 percent of the value of the home. However, the builder will get that money once the permanent loan is finalized, Galdos says. The same thing happens in a (VA) construction loan. Borrowers only have to pay for the closing costs with no down payment. “The beauty of an FHA or VA construction loan is that it lets the borrower get into their dream home for minimal down. But these aren’t for every builder,” he says. Galdos states that some large and high end builders either own their own mortgage companies or have strong relationships with lenders and offer their own financing options. Finding the right financing could be one of the tougher parts of the home building process. But now that lenders more open to these loan types, there are a lot more options for families who want to build a dream home of their own. Previous story Outsmart Banks with this Insanely Simple 2-Step Money-Saving Method.